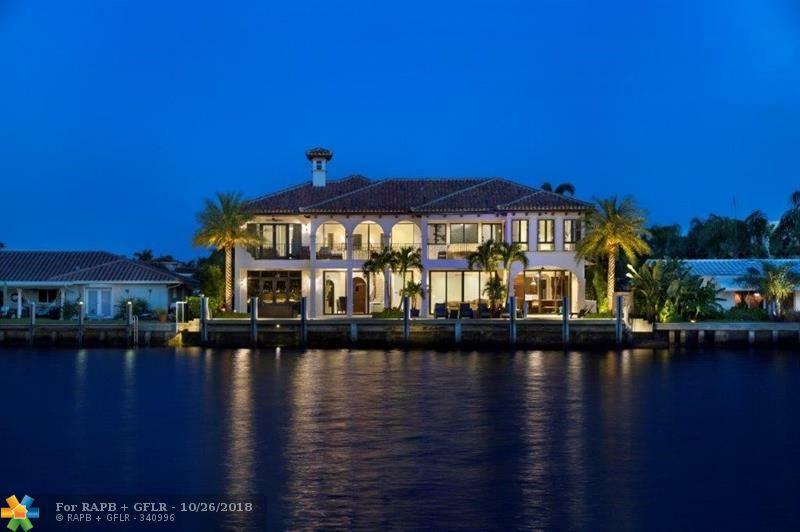 Brand New Timeless Intracoastal Estate sited on 92' +/- of Intracoastal waterway. Grand foyer entrance w/sweeping staircase that leads you to walls of glass showcasing water views from every major room. Gourmet Island Kitchen with breakfast room open to dining. Entertainment is enjoyed in the spacious media room/bar. Other first floor amenities include bedroom, separate cabana bath, & elevator. second floor master with his/hers walk in closet & large covered deck. 80'+/- concrete dock & resort style pool.